To find out if ketamine infusions are right for you, the first step is to contact us. 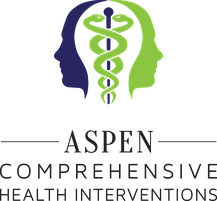 Either call Aspen Comprehensive Health Interventions at 970-544-1441 or email us at info@aspenCHI.com. We will suggest an evaluation with our psychiatrist and our anesthesiologist. At ACHI, we believe in treating every patient with an individualized plan catered to the problem that we are trying to remedy. With this process, in which our physicians take the time to reevaluate each person, we believe that we can accomplish better clinical outcomes. After your initial evaluation, you will be set up with an infusion protocol that has been proven effective. Your first infusion day will consist of a brief discussion of the process, review of the paperwork, and the placement of an intravenous catheter through which the medication is administered. You will be monitored for breathing, heart rate, and blood pressure throughout the hour of infusion. You will be in a quiet comfortable room. You may bring music to listen to during the infusion, or you may choose to rest quietly. Please be sure to not eat for at least 6 hours prior to the treatment. Liquids are fine up until 2 hours before. Have someone drive you home. You will then be reevaluated to see if a continuation of the protocol is right for you. Please be secure in knowing that we want to make this treatment process as easy and as effective as possible for you.